Now that this year's summer program has come to a close, we reflect proudly on our diverse offerings and student successes. One unique aspect of BASIS Independent Summer is that student interest is surveyed to help determine course offerings, which allows for an exciting selection from which to choose. This year was no exception - from CSI Forensics and 3D Printing to Volleyball and Chess - we had something for everyone. Below are a few highlights from two of our most popular courses: Minecraft Challenge and Create and Innovate. In Create and Innovate, students worked in small groups to imagine, plan, create, develop, and produce their invention. 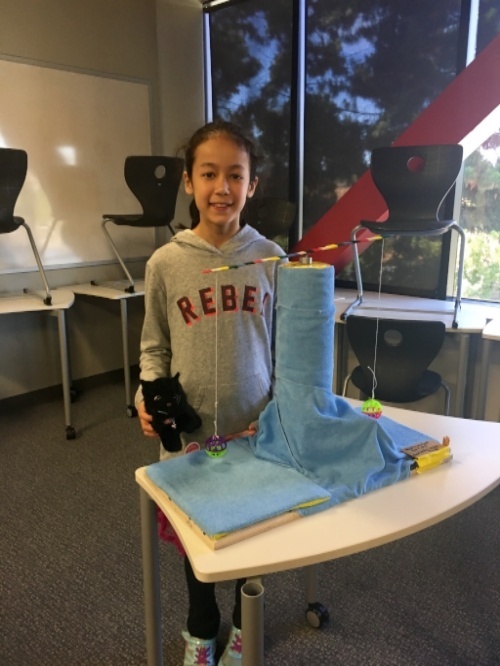 During the various stages of the program, students learned about the principles of creativity and imagination, developing ideas, and implementing design strategies from scratch to final product. They learned about the meaning of the invention, innovation, patents, and intellectual property. 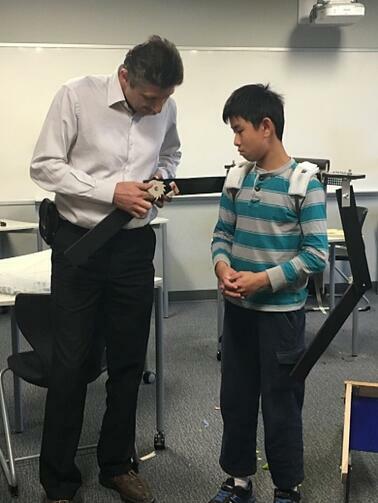 This project-based interactive program began with a visit to the Tech Museum of Innovation in San Jose to learn essential concepts which was followed by interactive lectures and group based projects throughout the week conducted at BASIS Independent Silicon Valley. At the end of the one-week program, students pitched their invented products or ideas during showcase day. This program was delivered by a member of the United Inventors Association of the USA. 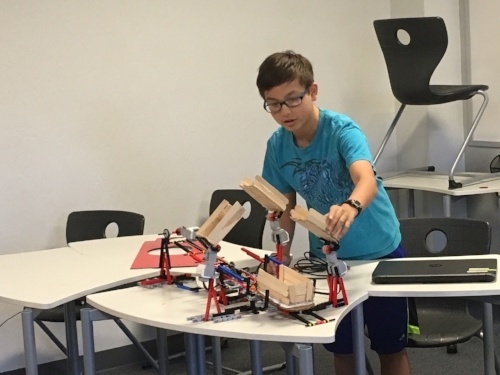 Check out these AMAZING inventions by the Create and Innovate students! Here is a pretty cool scratch post with a motor that also acts as a toy for her cat to play. 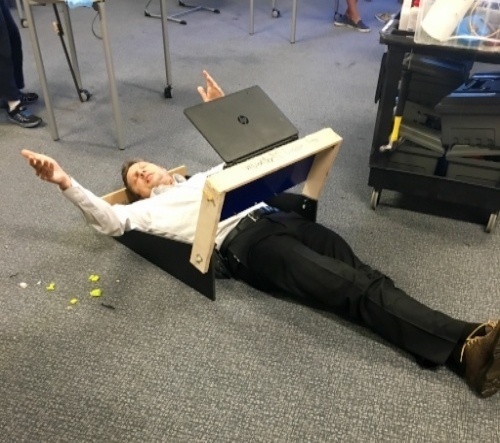 Dr. Ghafooripour is demonstrating an invention that a student designed which allows people to lay down and use laptops in a safe manner - perfect for watching movies and playing games! This photo shows an invention a student created to aide in moving boxes with minimal effort. 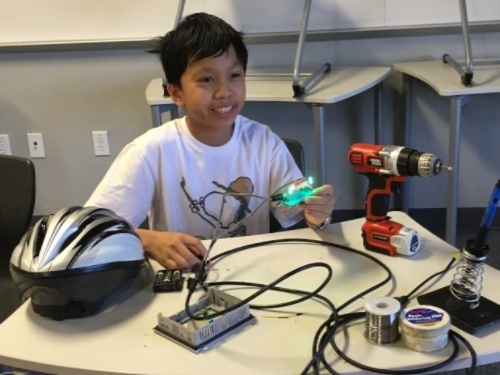 This student created blinking lights on a bike helmet to signal turns. Clever! This creative thinker invented a sandwich assembly line to help speed up his lunchtime process. 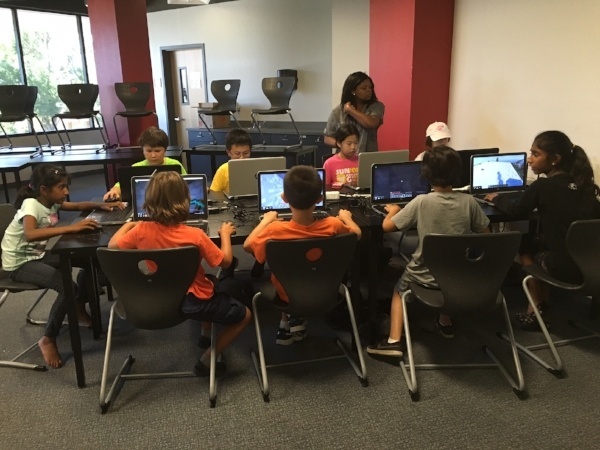 In Minecraft Challenge, students partnered with Techsplosion to spawn into the curious world of Minecraft! They learned the fundamentals of video game design to create epic worlds with the help of fellow classmates and a variety of powerful tools. They dove into use of platforms such as WorldEdit, learned how to make awesome screencasts like favorite YouTubers, and during free time, competed in Minecraft Hunger Games, SkyWars, and more. Here are our Minecraft Challengers hard at play! 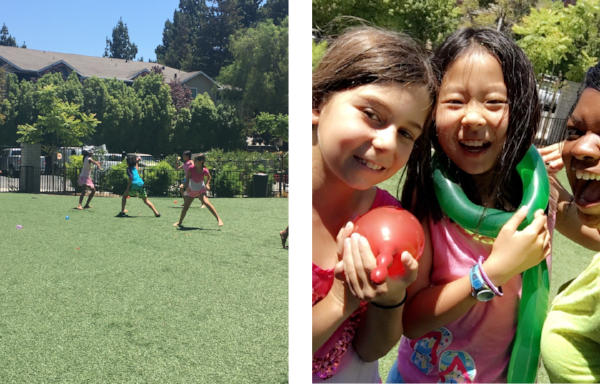 Students were sure to fill every minute of their day with fun and adventure. 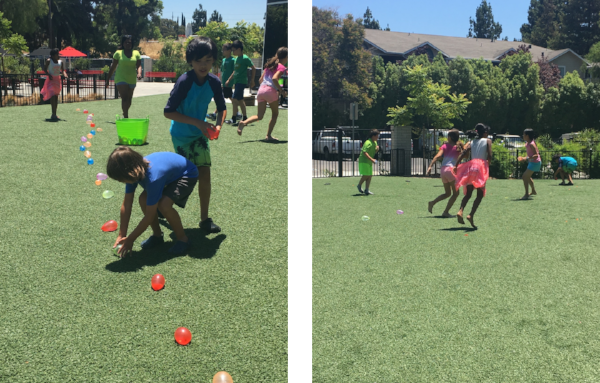 Enjoy photos below from Water Balloon Dodgeball, a fun activity that our summer students participated in at lunchtime. Subscribe to our blog for instant updates, or like us on Facebook!